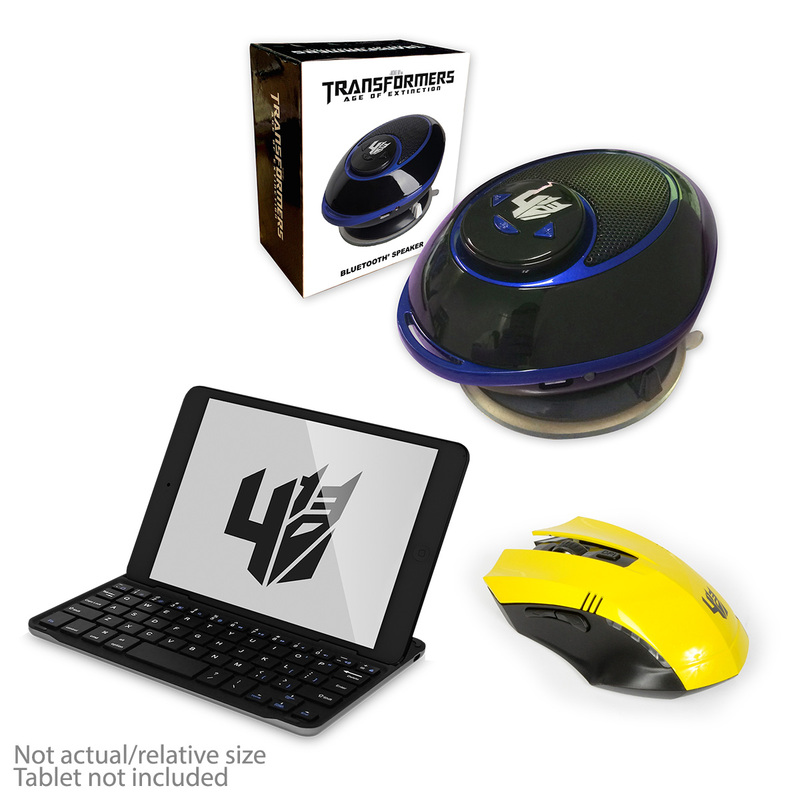 To celebrate the release of the Transformers: Age of Extinction, in cinemas 5th July (cert TBC) we are giving you the chance to win 1 of 3 goody bags, each containing a film poster, bluetooth speaker, wireless keyboard and mouse! 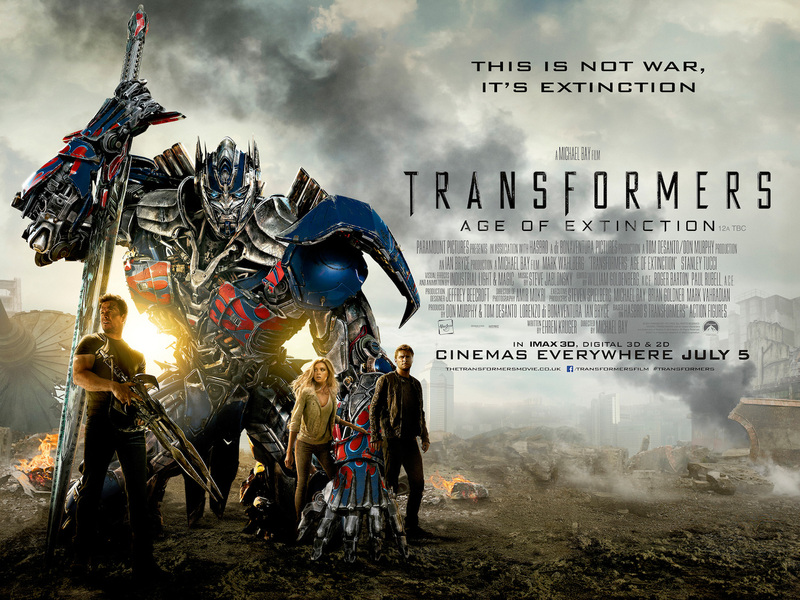 How to win 1 of 3 Transformers: Age of Extinction Goodie Bags! The competition closes on 5th July 2014 and is open to UK residents aged 16 or over. ©2014 Par. Pics. ©2014 Hasbro. Im amazed that transformers have been enjoyed by my sons as children and are now very popular with their children so I would love to win to put a huge smile on my grandson’s face. I could do with cheering up, When I first landed on the planet I saw a Dacia Sandero and this is what i transform into. All the other transformers I know change into cool cars or planes and stuff and i am stuck as a cheap underpowered family car. Needless to say I am not picked to go on many missions so this bundle would keep me busy on long lonely nights. I want free stuff? (at least I’m honest!) in all honesty, it’s a cracking prize . I’d be happy with the poster! my walls in the mancave are looking a little bare. a Dr Who signed David Tennant photo, a few warmammer posters and a hobbit calender, I need some Transformers in here! Pick me as a winner and you can help transform me for the slummy stay at home mummy I am Monday to Friday to the inner geek I am deep within. Yes please! I’m . . . erm I mean my children . . . ok really me! loves Transformers! My present keyboard and mouse are well past their use buy date. I want to win because my 2 kids love transformers and this goody bag would transform their summer! Tweeted as @lovell020606….my son would be so happy! I would love to win for my husband and 2 sons who are all big transformers fans! i want to win….because Transformers are the best!!! Fate rarely calls upon us at a moment of our choosing, sometimes even the wisest of men and machines can be in error. So I will accept this burden with all that I am! Pick me. pick me !! What do you get when you mix a transformer with a cow? Fingers crossed! would love to win this prize (big big big transformers fan)!!!! I Would Love To Win! I’m Danielle And I’m Fabulous! I want to win this goodie bag the last time I won anything was a transformers headmasters video about 25years ago!